Only the day before, air bristling with Japanese beetles, all metallic ping and pinch. Grasshoppers Jiffy Popping under the sky’s blue aluminum dome. 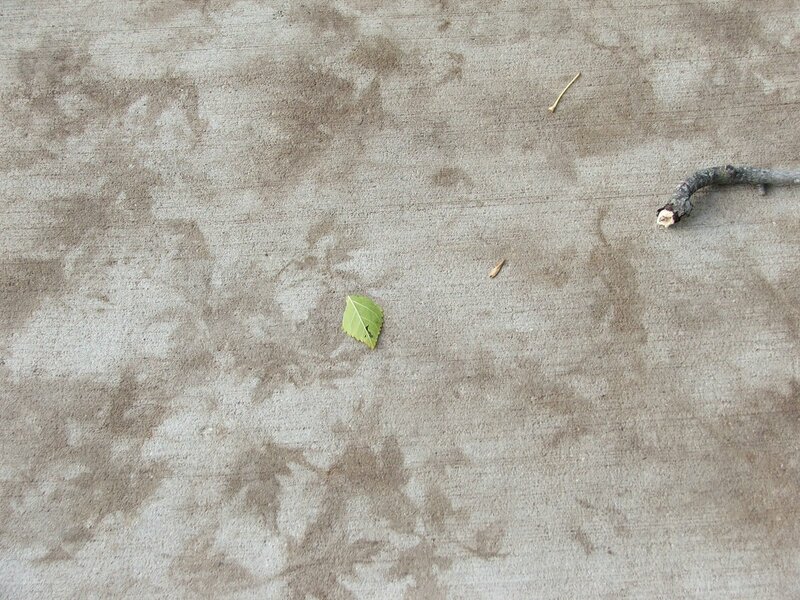 On the walking path, one of the last of the dog day cicadas stranded on its back and rattling its dry gourd of a body until I righted it. Small mechanical wind-up toy’s stutter and twitch. All of this rescinded after a single morning’s chilled rain. 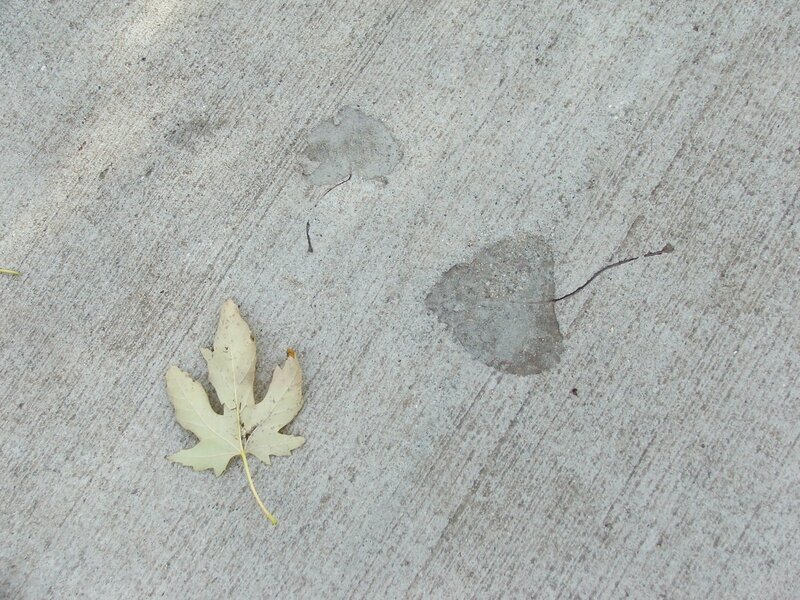 Leafprints scored into asphalt. An immolation of orange and yellow burnings stilled to silhouetted ash and char. Imprint of your body fading too quickly from my bed. Is it an erasure, or is it a swallowing? Or perhaps the turning of a purse inside out to reveal the silky lining? Leaves glisten. The drizzle-slick dock shines. Sky an uncertain pearling of abalone. And yes. I have been turned utterly inside out. And so I ask you, what other choice is there, if not to give oneself up to the rain–to glisten, shine, and pearl into this very absence, this ache, this lambent and indefinite quiet?